Is this Colletes inaequalis? Emerging from holes in early spring. Nests shown in photos. Is this male or female? 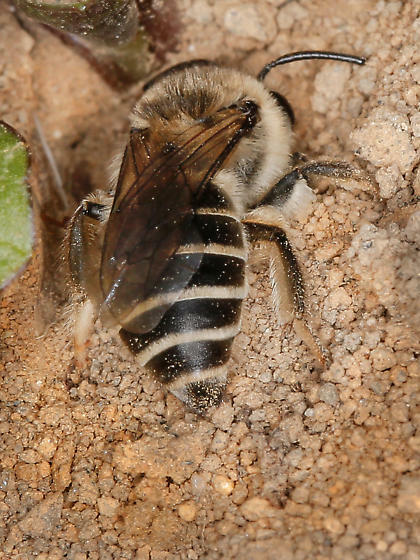 Photo shows bee removing dirt from nest with abdomen tip.